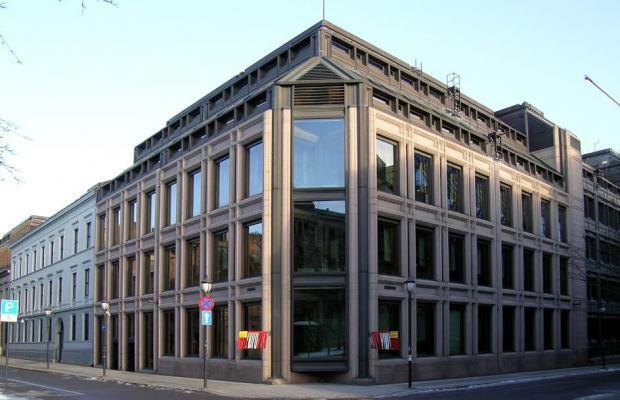 Norway's central bank raised its key interest rate on Thursday and indicated another could soon follow due to the strength of the Scandinavian country's economy, in contrast to a slowdown in much of the rest of the world. The key rate was hiked by 0.25 points for the second time in six months, rising to 1.0 percent. "Our current assessment of the outlook and balance of risks suggests that the policy rate will most likely be increased further in the course of the next half-year," the bank's governor Oystein Olsen told a press conference. He added that "the way things look now" another increase in June was more likely than not. The announcement surprised many economists and sent the Norwegian kroner surging by one percent against the euro. Analyst David Oxley of Capital Economics said the increase had been expected after policymakers signalled in January they would raise rates. "However, the more hawkish stance adopted by the bank, saying that the next hike will 'most likely' be in the second half of 2019, has caught the market on its toes," he said. Kristoffer Lomholt, an analyst at Danske Bank, called it a "hawkish surprise". There is a "higher likelihood of three than two hikes this year," he wrote on Twitter. The bank said the "upturn in the Norwegian economy appears to be stronger than anticipated earlier". Rising oil prices have propelled the economy of Norway, the biggest oil and gas producer in western Europe, while the outlook has recently been gloomy for many of its European peers. In its forecast released Thursday, the central bank predicted the country's mainland GDP, which excludes the oil and shipping sectors, would grow by 2.7 percent this year and 1.8 percent in 2020. Underlying or core inflation -- which excludes volatile products like energy -- was higher in February than the central's banks 2.0 percent target and it forecast 2.3 percent for 2019 and 2.0 percent the following year. Norway's hawkish stance stands in stark contrast to the rest of Europe and the United States, where recent downbeat data and signs of a global slowdown have led to cautious stances by central banks. It comes a day after the US Federal Reserve surprised economists by indicating it will not raise interest rates this year, after previously forecasting two hikes. On Thursday, the Swiss National Bank meanwhile opted to leave its own interest rate unchanged, while cutting its inflation outlook. The rate of Norway's neighbour Sweden is in negative territory at -0.25 percent. "We are different from the rest of Europe in many ways," Olsen said. In September Norway raised its interest rate for the first time since 2011 after hitting a record low following the effects of the 2008 financial crisis and plunging oil and gas prices.